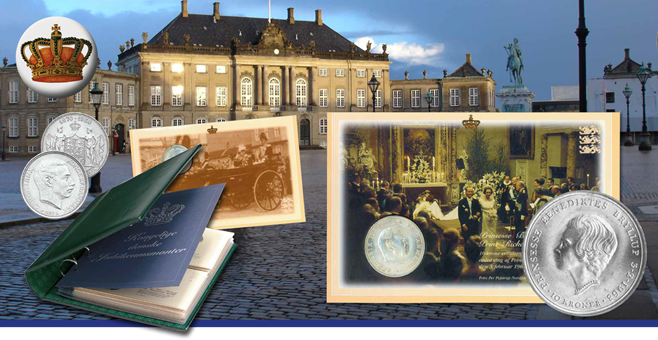 We hereby have the pleasure of offering you a collection with the popular Danish silver coins, issued by the Royal Danish Mint on the occasion of big events. You will also receive a beautiful album from Leuchtturm with pockets for your collection. The coins are delivered in a nice card with informative texts about the history of the coins as well as the specifications for the coin. The card is produced especially for these coins, there is a transparent blister for the coin. The blister has been tested for coin protection in a laboratory and was approved. It gives the best protection for your coin and it is 100% transparent. All prices are excl. of freight. You can cancel your subscription at any time and return the latest sending to us within a week. When you subscribe to this collection, you will obtain a very nice collection of Danish silver coins, also including the recent silver coins which are difficult to get as many banks don’t sell them any longer. The deliveries are made with reasonable intervals.